A world of elite luxury brands, close by. Vdara is steps away from ARIA and The Shops at Crystals, which features a collection of the world’s most elite and celebrated luxury brands. From fine jewelry to the hottest fashions, you’ll find everything on your list. 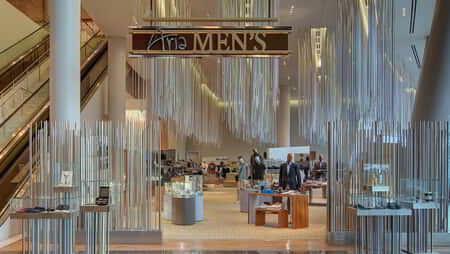 ARIA Men's features an assortment of casual, contemporary and designer sportswear for men. In addition to fashionable shoes, sports watches and trendy jewelry, you can also find a broad range of accessories, with a focus on versatile and travel-sensitive products. Click here for more information about Aria Men's. 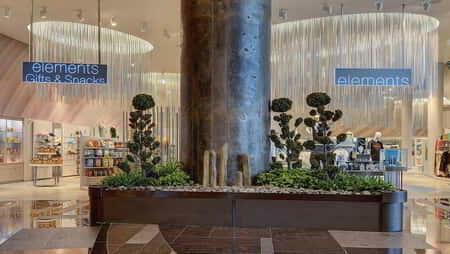 With a convenient location inside of the Shops at ARIA, Elements offers a variety of ARIA merchandise as well as the everyday necessities. From contemporary brands and logo apparel to snacks, beverages, spirits, and wine, Elements has just what you're looking for. Click here for more information about Elements. 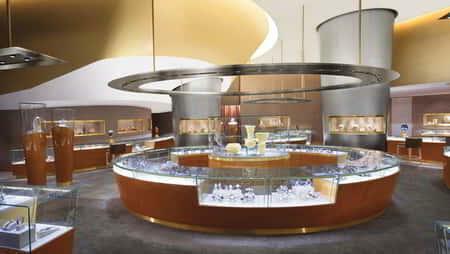 Artistic fine jewelry and luxury watches are delivered in a spectacularly designed environment. Radiance offers brilliant treasures from artisans with a focus on modern aesthetics. Click here for more information about Radiance. For women, Terrene carries fashion from all categories for today's modern woman. Featuring an assortment of sportswear with a focus on casual, contemporary and advanced designer collections, Terrene highlights the newest introductions in fashion. Click here for more information about Terrene. 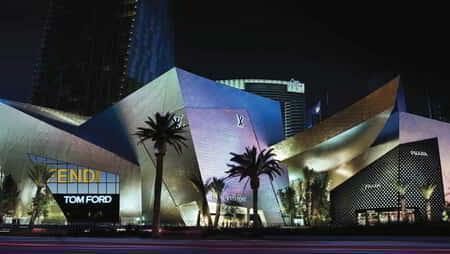 Right next door to Vdara, one of the truly unique shopping and entertainment districts in the world awaits you: The Shops at Crystals™. 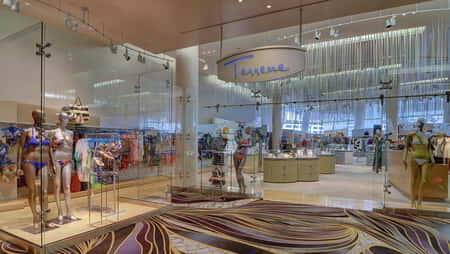 Under its crystalline, glass-and-steel canopy, you will find offerings from the world's most elite brands. Click here for more information about Crystals.